SAN ANGELO, TX -- Sixteen Suspects were arrested and booked into the Tom Green County Jail Wednesday. The Tom Green County Sheriff's Office and the San Angelo Police Department made various arrests including multiple possessions of drug paraphernalia, possession of controlled substances, expired registration, and failure to use a turn signal. Aaron Nitsch was arrested for failure to use a turn signal at 1:32 a.m. His bond was set at $360 and was released at 6:43 p.m.
Johnnly Rodriguez was arrested for two counts of possession of drug paraphernalia at 2:15 a.m. His bond was set at $4,376 and was released at 5:58 a.m.
Ariel Gonzales was arrested for possession of a controlled substance at 2:41 a.m. Her bond was set at $7,500 and was released at 7:58 p.m.
Destiney Carrasco was arrested for criminal trespassing at 8:57 a.m. Her bond was set at $500 and was released at 6:13 p.m.
James Pittman was arrested for drug paraphernalia at 9:36 a.m. His bond is set at $642. Juan Arredondo was arrested for expired vehicle registration and no proof of financial responsibility at 9:44 a.m. His bond was set at $2,512 and was released at 6:43 p.m.
Luis Escalona-Santana was arrested for fraud by possessing five different identifying information at 1:19 p.m. and is being held for ICE. Melissa Honesto was arrested for possession of marijuana and possession of drug paraphernalia at 1:48 p.m. Her bond was set at $1,642 and was released at 7:58 p.m.
Samuel Torres was arrested for class C. theft at 3:40 p.m. His bond is set at $424. Chriselda Esquivel was arrested for unauthorized use of a motor vehicle at 4:28 p.m. Her bond has not been set at this time. Edward Brasuel was arrested for illegal dumping at 4:52 p.m. His bond was set at $642 and was released at 8:28 p.m.
Heriberto Gonzalez is being held for ICE at 5:09 p.m.
Dustin Clopton was arrested for failure to identify by giving false information at 7:20 p.m. His bond is set at $1,500. 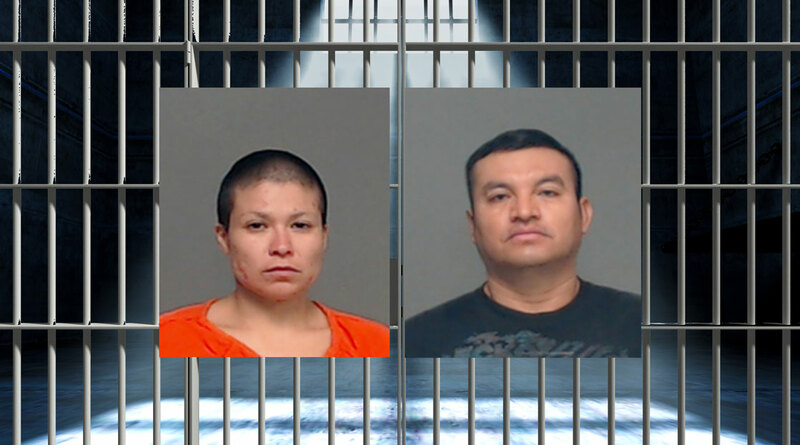 Lila Cadena was arrested for harassment at 7:26 p.m. She was released without bond at 10:13 p.m.
Domingo Cruz was arrested for a class C assault against a family member, possession of marijuana, and possession of drug paraphernalia at 8:40 p.m. His bond was set at $2,134 and was released Wednesday at 2:58 a.m.
Mike Belman was arrested for theft of services at at 10:32 p.m. His bond was set at $442 and was released Wednesday at 8:28 a.m.